We work with Freeholders and owners of rooftops to design, construct and deliver premium penthouses. Pent Developments takes care of every stage from survey, design and planning permissions right through to project completion and sale of the finished units. We provide all development finance and will either purchase the roof rights, or work with owners in a Joint Venture arrangement that provides owners with a share of the development profit. London is one of the foremost property markets in the world with demand for housing far out stripping supply. Knight Frank recently concluded that at least 40,000 new homes could be built on Central London rooftops, in non-contentious locations without impacting the iconic London skyline. Until now, London rooftops have remained largely undeveloped due to planning restrictions and the construction challenges imposed by traditional rooftop construction methods. Last year there were fewer than 400 new dwellings created on rooftops. Previously strict planning rules that made roof development difficult are currently being overhauled with the intention of dramatically increasing housing supply through the development of rooftops. PENT Developments offer the most efficient and optimum approach to roof development through modular off-site construction and crane delivery. This is a rapid and superior quality method, which reduces the development impact on and disruption to residents, neighbours and the building itself. 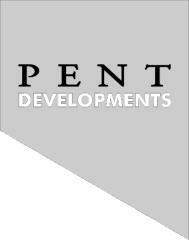 PENT Developments command unrivalled technical expertise in innovative construction, architectural design and a comprehensive understanding of planning constraints to be considered a true industry disruptor and market leader.